It's the thing that kept me from coming to Haiti until I was 35 years old. Fear of the unfamiliar, the heat, sickness, the difference in food... the potential things I am not used to that will take me out of my comfort zone. Even trying to learn a few phrases in another language scared me! I went through this week expectant of God. Everyone told me all that I could expect on this trip - God will meet you. God will speak to you. God will touch you. And you will learn much from the joy of the Haitian people. All of these things are true. I am thankful to our God for the moments of peace and the moments of true vulnerability that He blessed me with on this trip. Our trip is wrapping up now, and it has been an incredible experience. 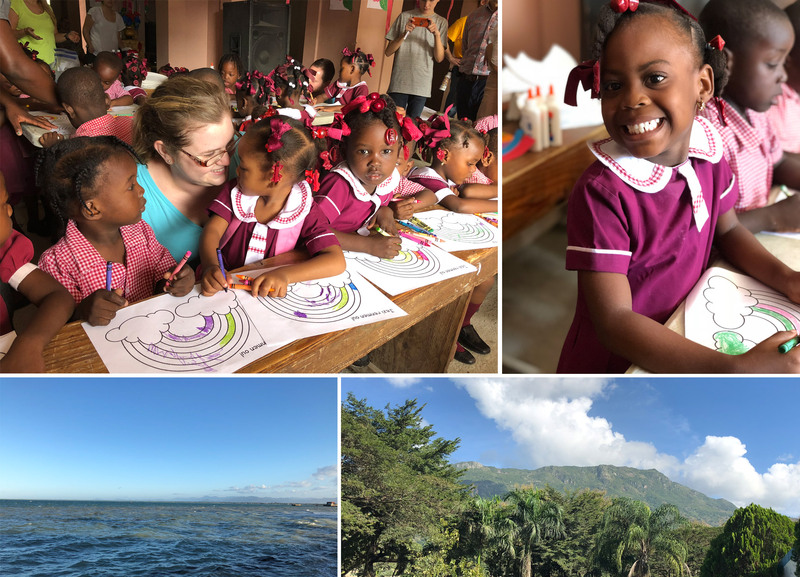 Meeting the Haitian people, observing the crazy and fast driving, seeing the incredible mountains while we drive the streets of Cap Haitian, and visiting the schools as well as our partner church Grace in Sion. We put on a leadership conference called the GLS Summit and the impact that it will have cannot be measured now. But the leaders stood up and said "Mèsi... Mèsi" which means... "Thank you, thank you" for putting on this conference. They were inspired from a place of discouragement, motivated to make real change in their country - talking of saving the education system, the country! It was truly incredible. They will step out in boldness, not fear, and bring others along with them! They wanted their youth and everyone they knew to hear the wisdom they learned! Is there something that God is telling you take a leap forward in that you are avoiding because of fear? Pray today that He would give you your next steps to go forward with boldness! You may not realize what joy is awaiting you after the jump.